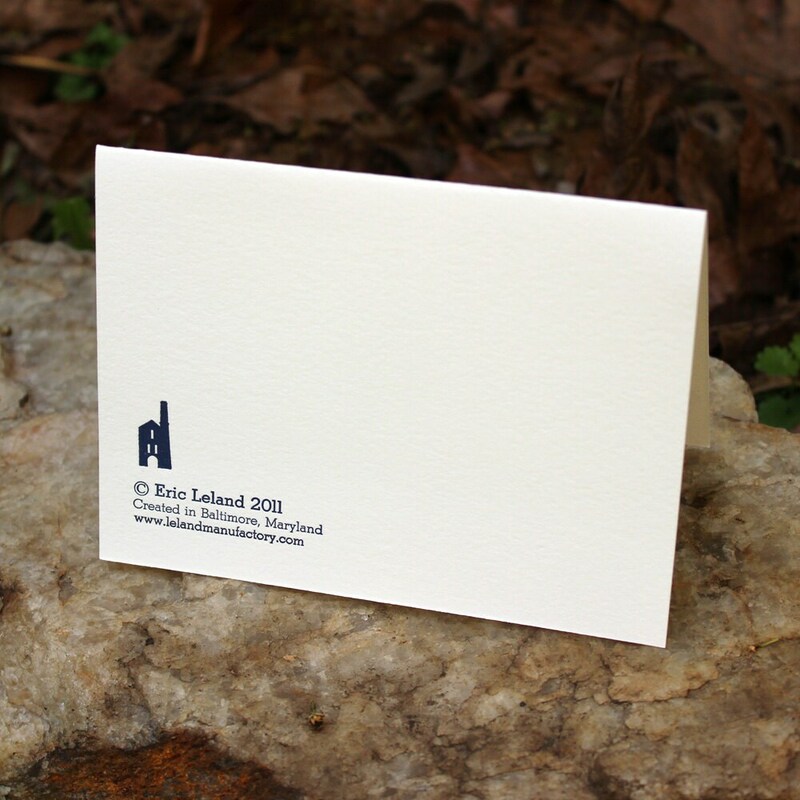 The cards are approximately 5-1/2" wide by 4" tall, printed in brown, dark blue, and gray ink on sturdy pearl white 100% cotton paper and come paired with a matching envelope. 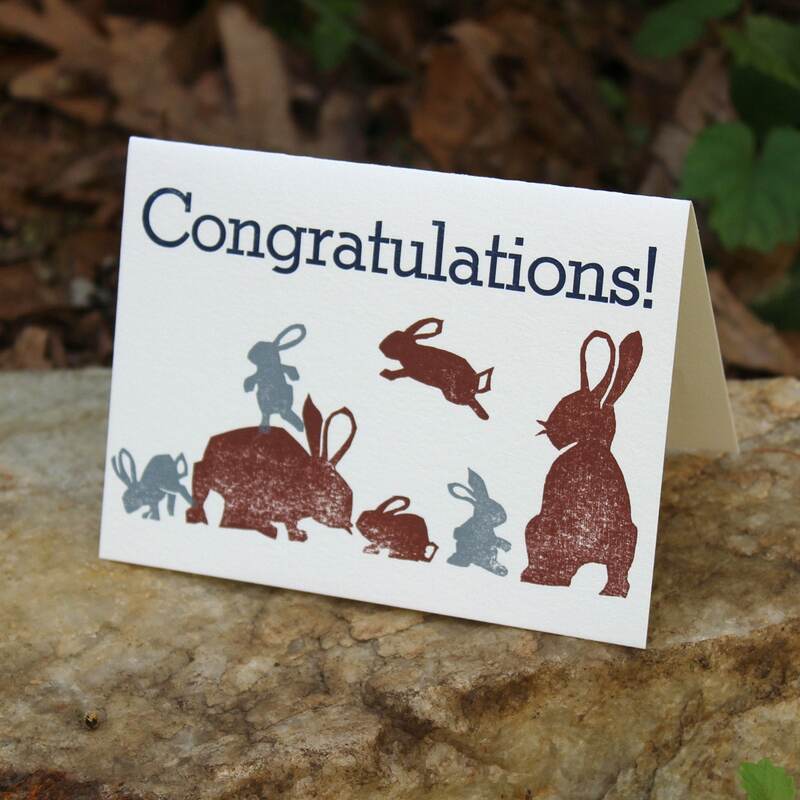 Once again, these are printed with metal type and my own hand-carved wood blocks on my antique printing presses. 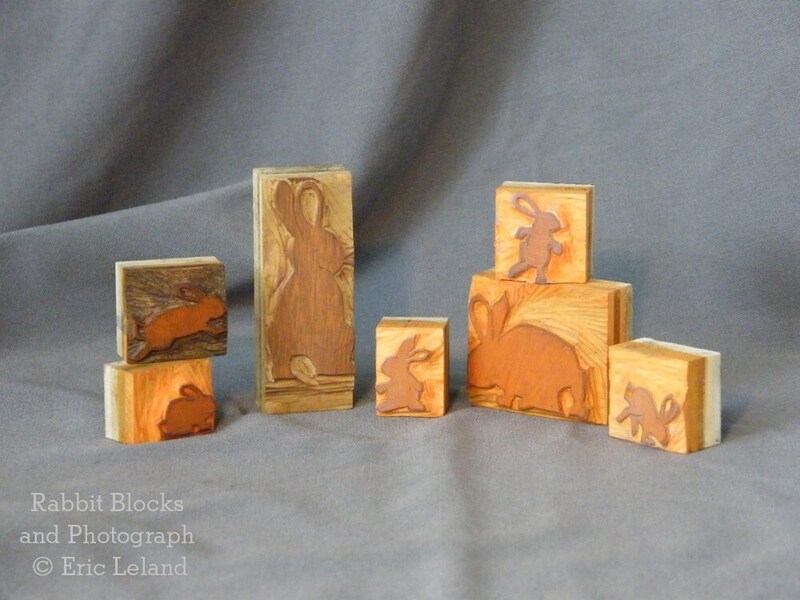 You can see my ever-growing collection of moveable type rabbits in the third photo (but please note that these aren't for sale!). The inside of each card is blank for your greetings. My name and website are printed subtly on the back.